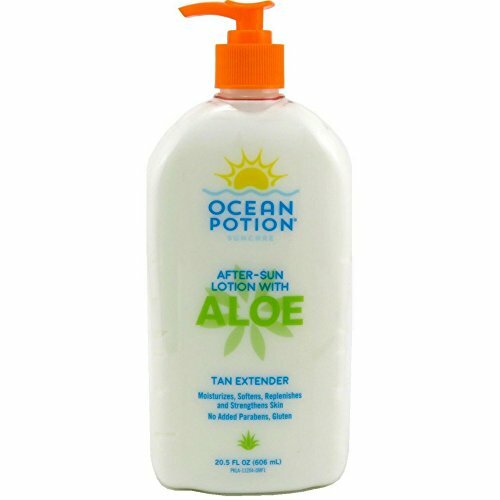 Ocean Potion After Sun Lotion with Aloe speeds the repair and healing of sunburned or wind burned skin. Use regularly to extend tan life for weeks longer. Enriched with antioxidant Vitamins B, C & E and soothing moisturizing ingredients such as Aloe Vera, Seaweed & Algae Extracts and Deep Sea Minerals to moisturize, soften, replenish and strengthen the skin. If you have any questions about this product by Ocean Potion, contact us by completing and submitting the form below. If you are looking for a specif part number, please include it with your message.